Private Investigators have been in operation for over 35 years now. This translates to experience matched by no other investigation agency out there. Over the years our seasoned private detectives have handled a lot of cases with legal implications. Findings from corporate investigations, matrimonial cases featuring infidelity and many other cases find their way to courts for adjudication. This has made our private investigators attain vast knowledge in law and how best to proceed after the conclusion of our investigations. The essence of carrying out private investigation is to furnish yourself with accurate information to take the best step thereafter. 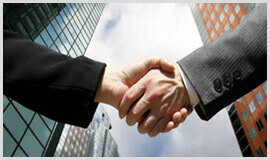 When you make legal enquiries on how to proceed on conclusion of your case, we provide the best legal advice possible.